With unprecedented access to declassified documents, Back Channel to Cuba (2014) reveals the long and bumpy road of diplomatic relations between the United States and Cuba. 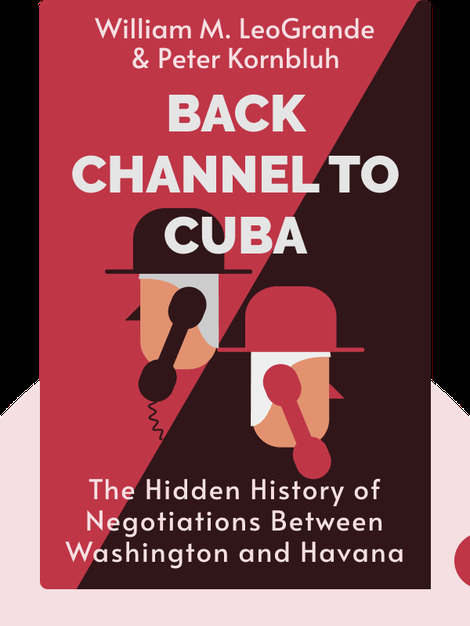 Find out how 50 years of unsuccessful foreign policy have kept Cuba and the United States at odds despite the efforts of secret, back-channel negotiations that have been taking place since the Eisenhower administration. 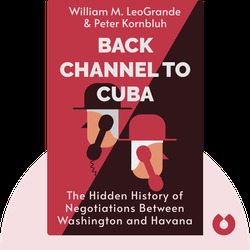 William M. LeoGrande is an author and professor at the School of Public Affairs at American University. His other books include Our Own Backyard: The United States in Central America, 1977-1992. Peter Kornbluh is the director of the National Security Archive’s Cuba Documentation Project. His other books include The Pinochet File: A Declassified Dossier on Atrocity and Accountability.